Our redesigned dashboard offers better views and mobile flexibility. View the progress of fumigations, customize views and update details on any platform. Realize compliant fumigation performance and peace-of-mind. 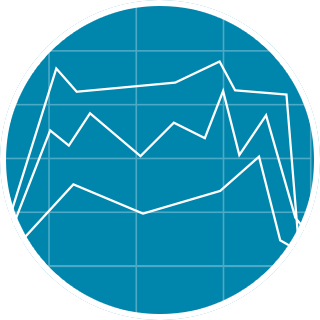 Graphs are sharper than ever and results are at your fingertips. The details are all there, completely editable and condensed for mobile. Our multi-sensor-capable monitors allow you to create an unlimited number of fumigation scenarios. 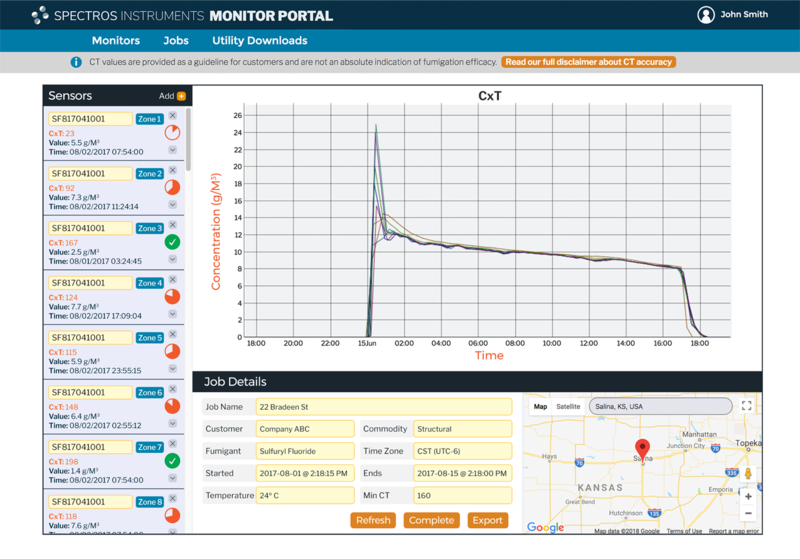 Generate custom reports, building a collection of sensors from mulitple monitors. View sensor-level progress and enhanced details. 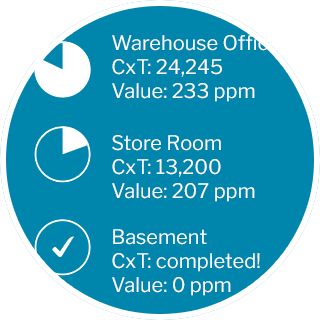 Assign custom names to each sensor to make them easier to identify in context with the type of fumigation. 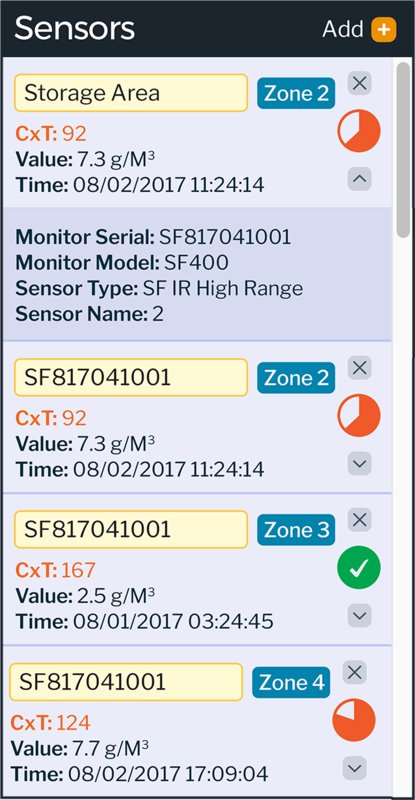 Identify the zone number each sensor/sample line is attached to on your device. See a visual indication of the CT threshold while in progress and a clear notification once it’s reached. Add and remove sensors from your job dynamically to build a dashboard perfectly customized to your task. 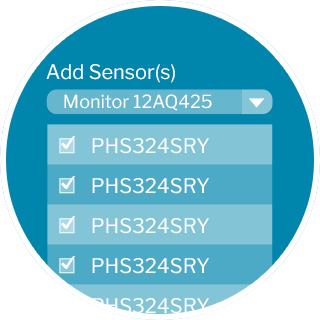 Expand each sensor for information on the monitor serial and model, the sensor type, and the default name. Graphs are larger and more detailed. Pinpoint time, date and CT accurately, and at any given moment, for any measuring line. Your results will display clearly on all devices, giving you. What and how are important, but where is essential to results gathering in any process. 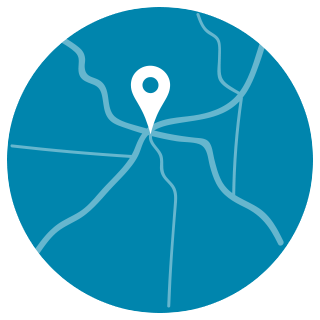 With new, built-in Google Maps, you know where your results are coming from. Get reliable information in a simple format.